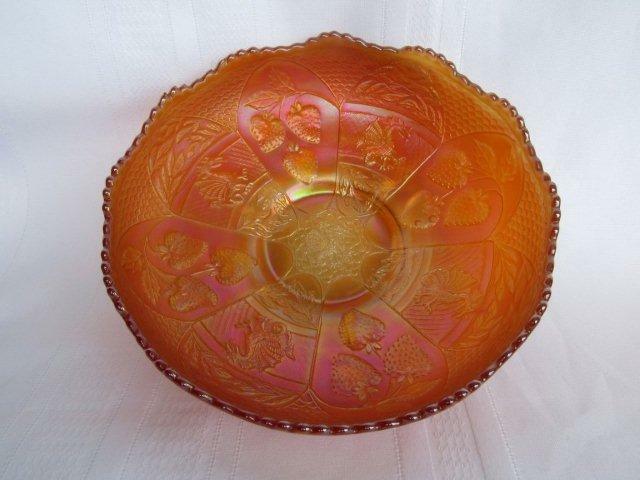 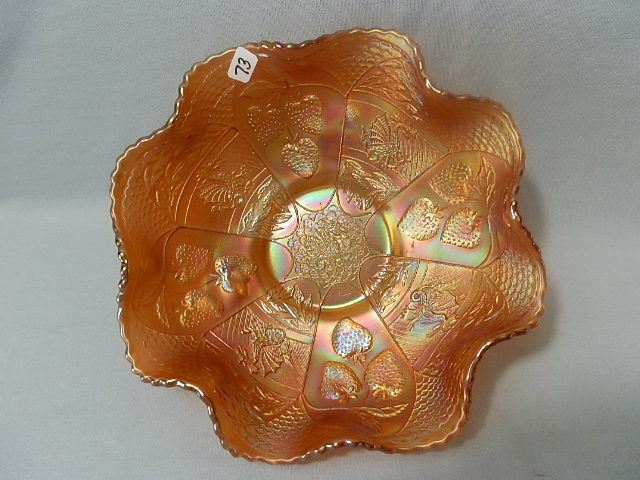 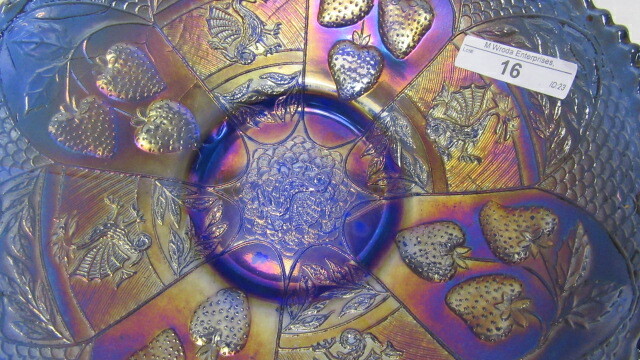 Another of Fenton's dual themes–this one an odd combination of dragons and strawberries. 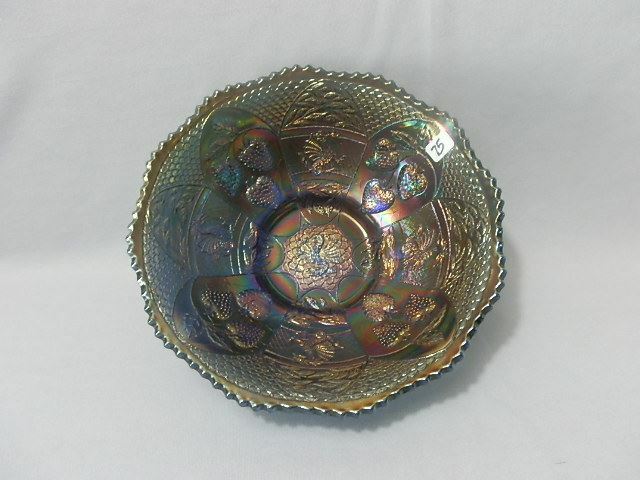 Found in bowls, some collar based, others ball-footed. 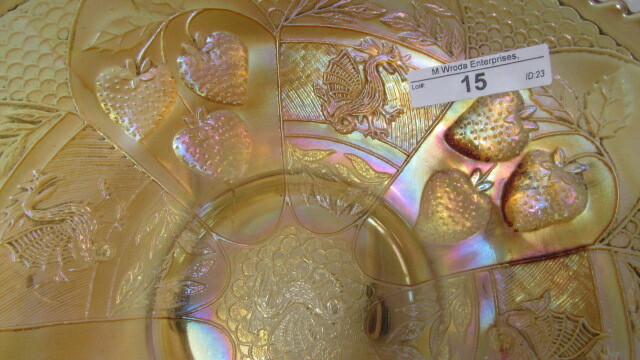 There are ruffled, round flared, and ice cream shapes. 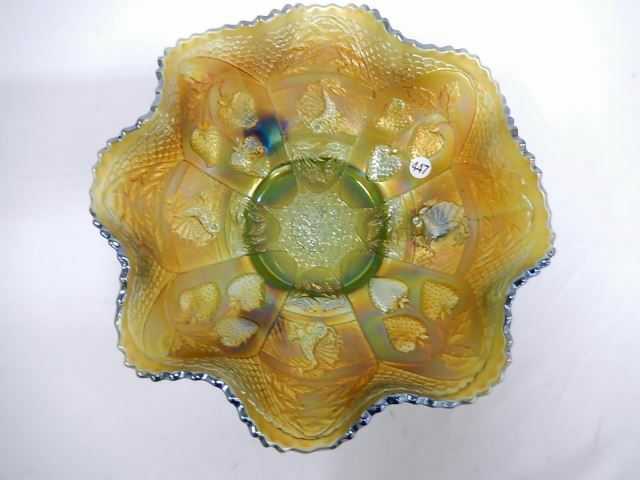 The base and shape make little difference in the value. 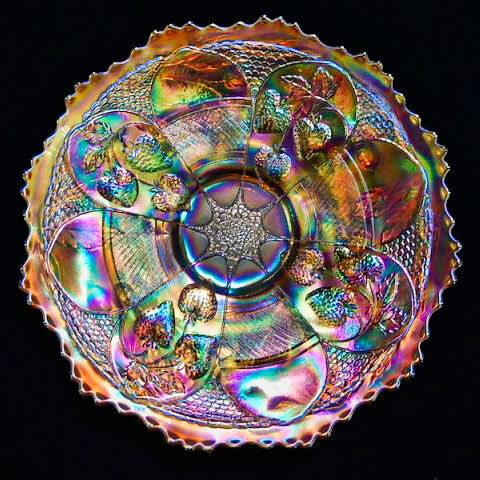 What does seem to make a difference is the iridescence. 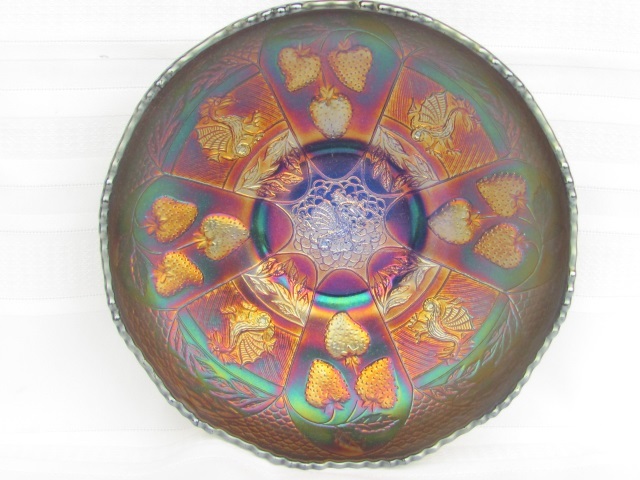 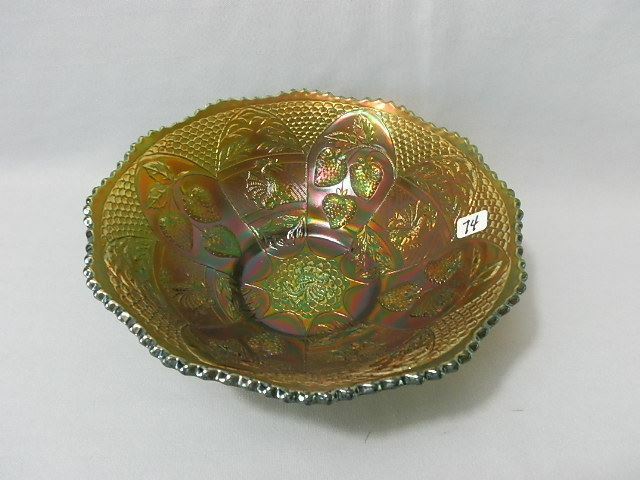 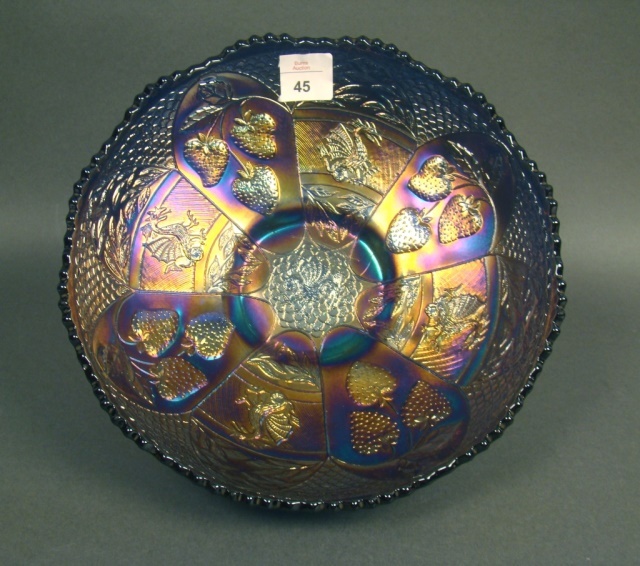 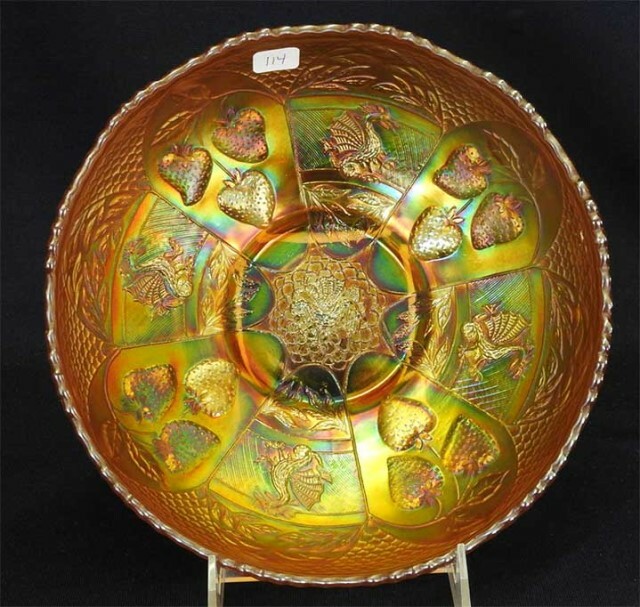 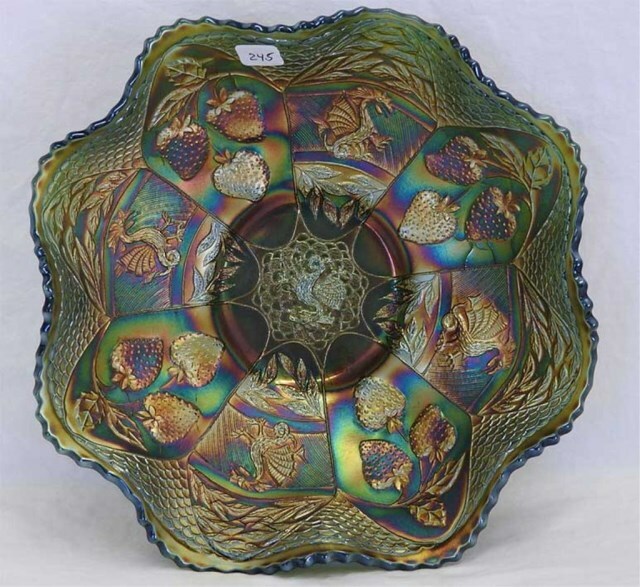 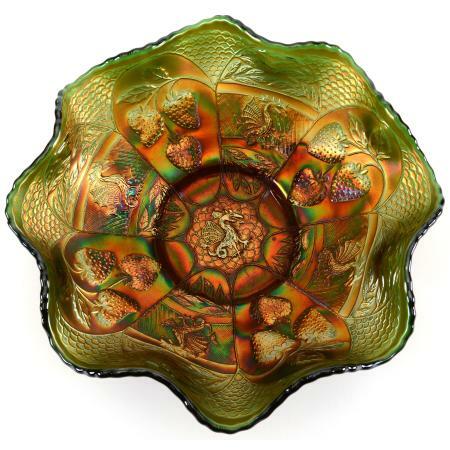 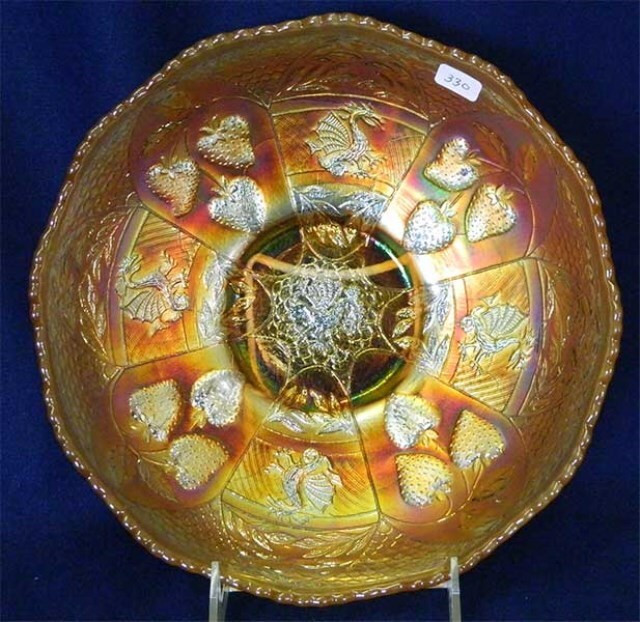 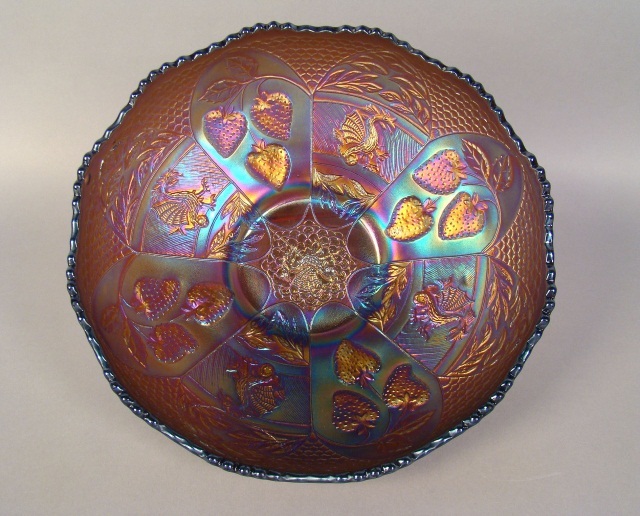 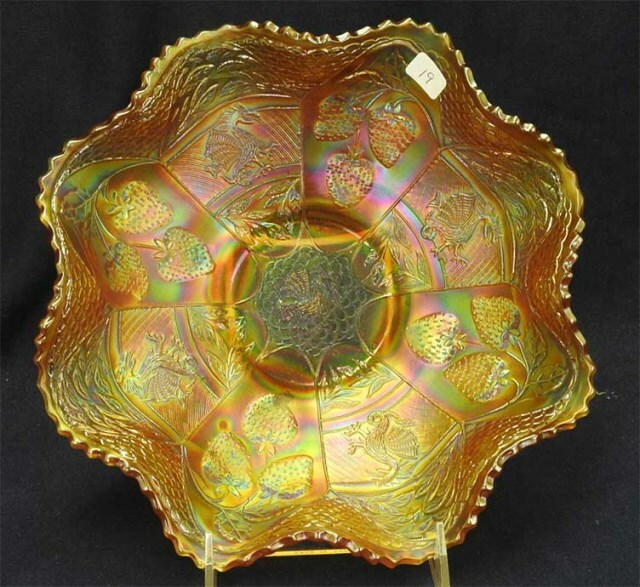 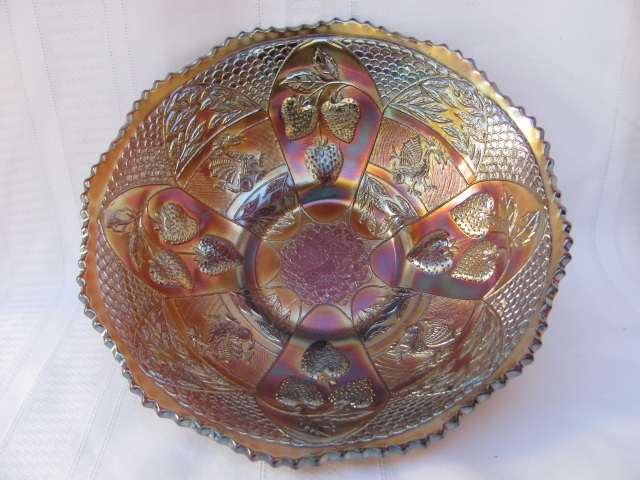 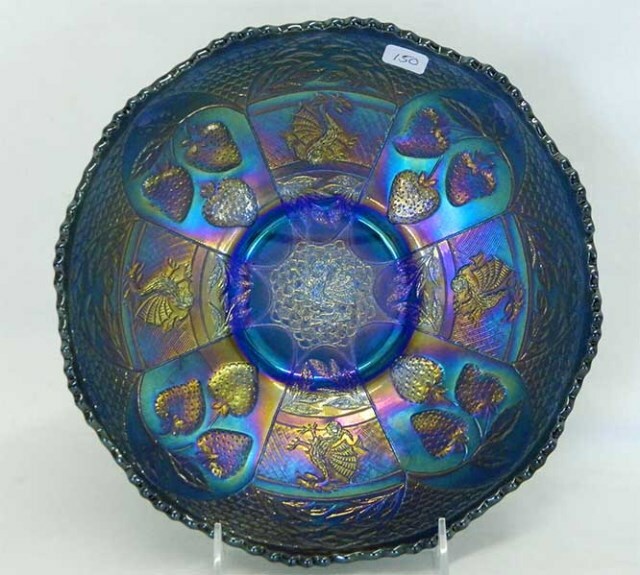 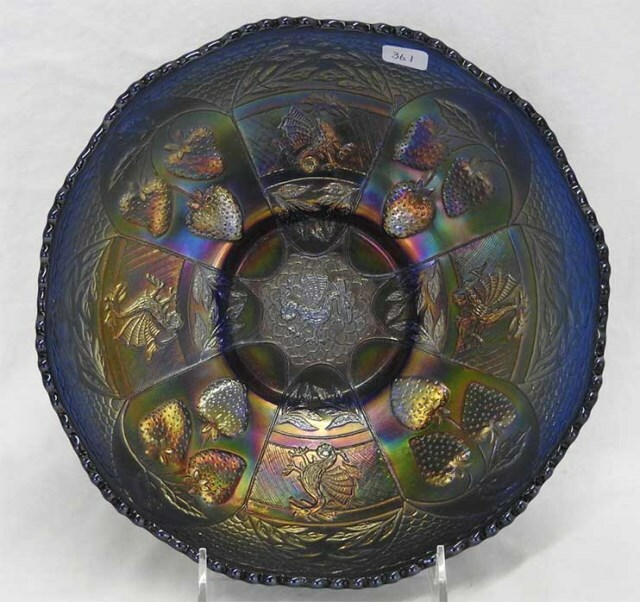 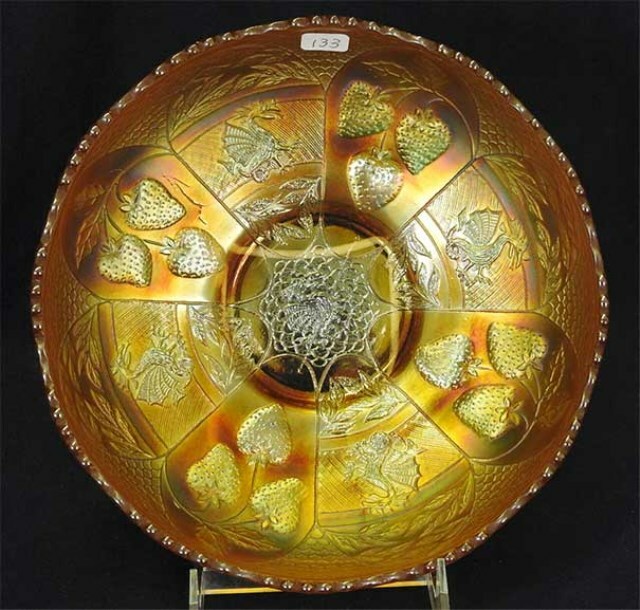 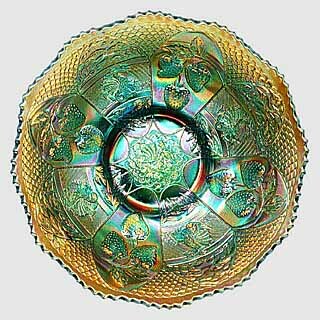 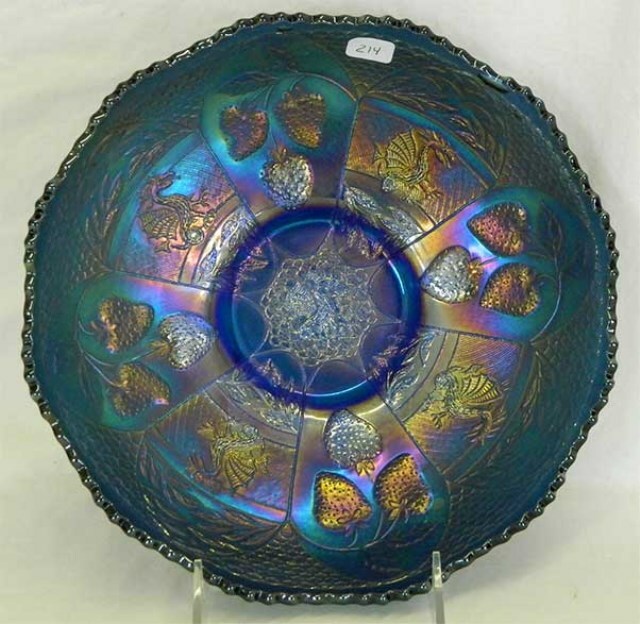 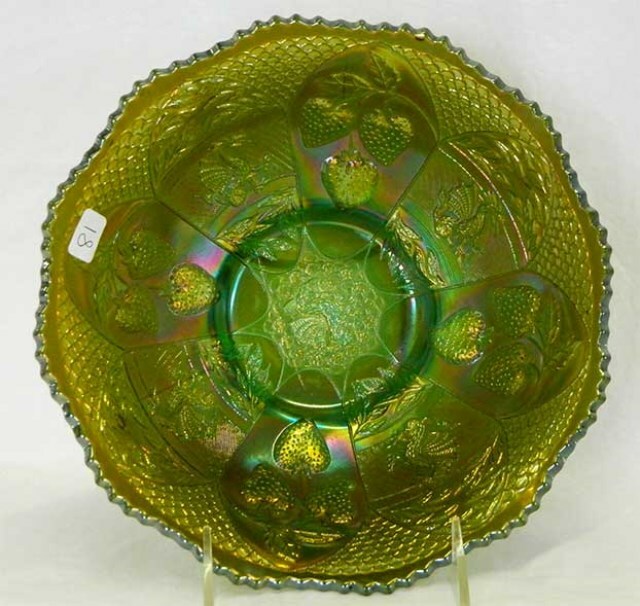 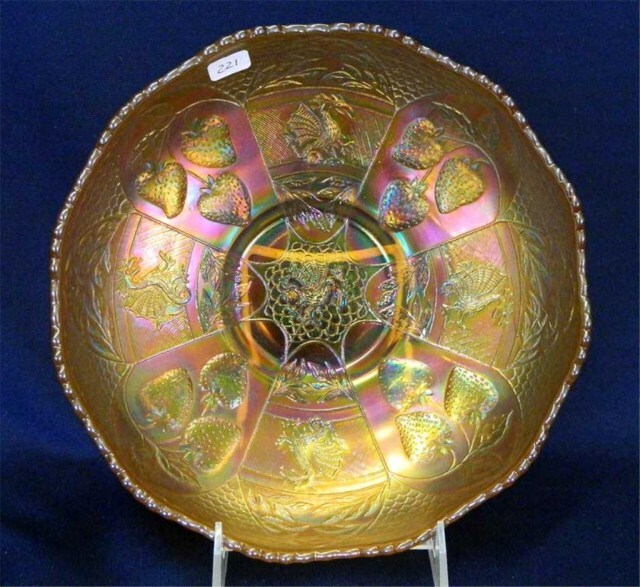 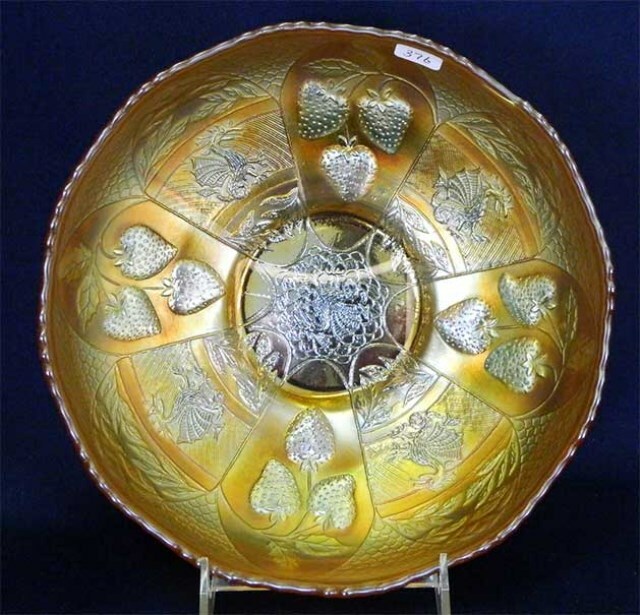 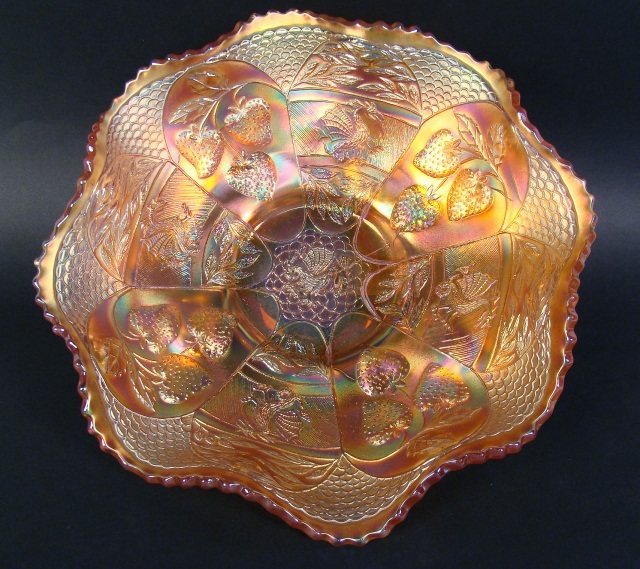 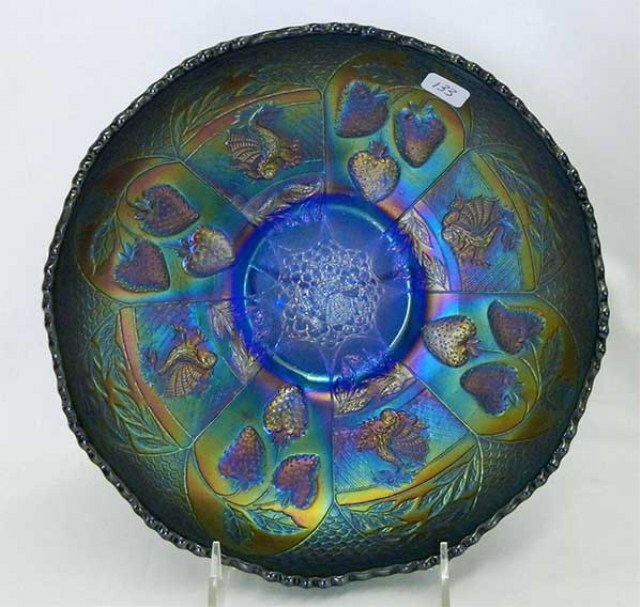 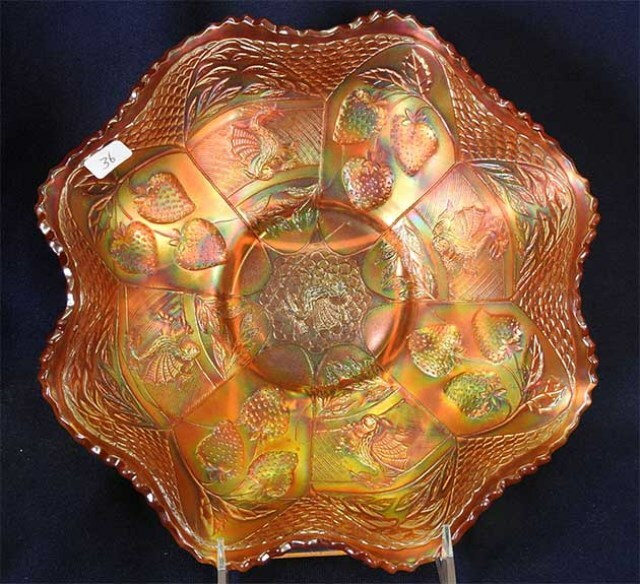 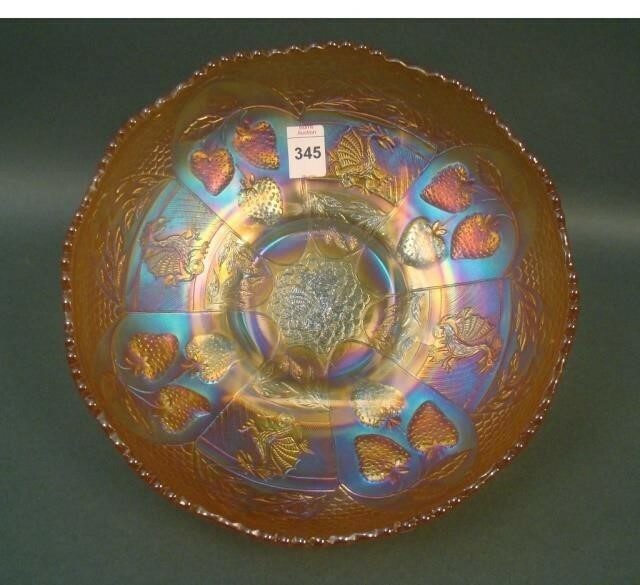 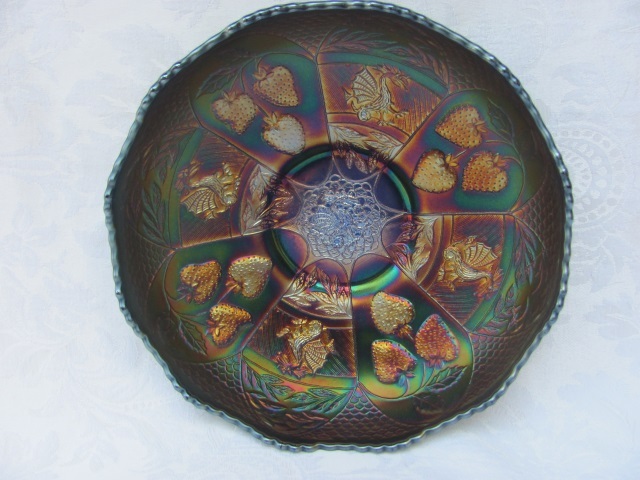 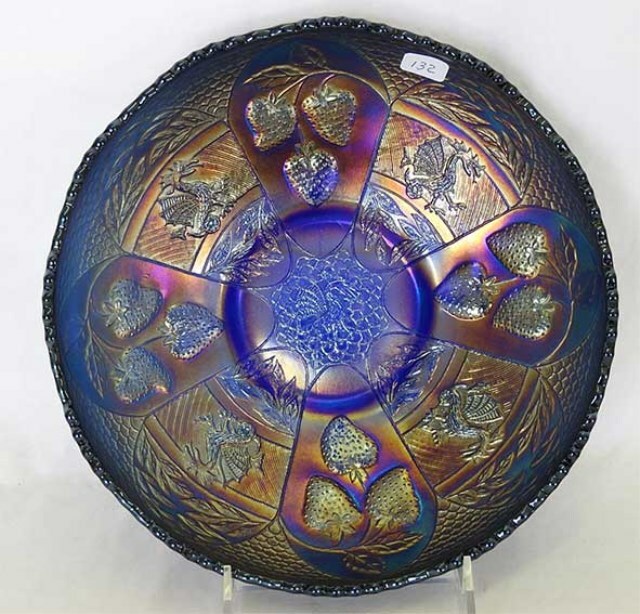 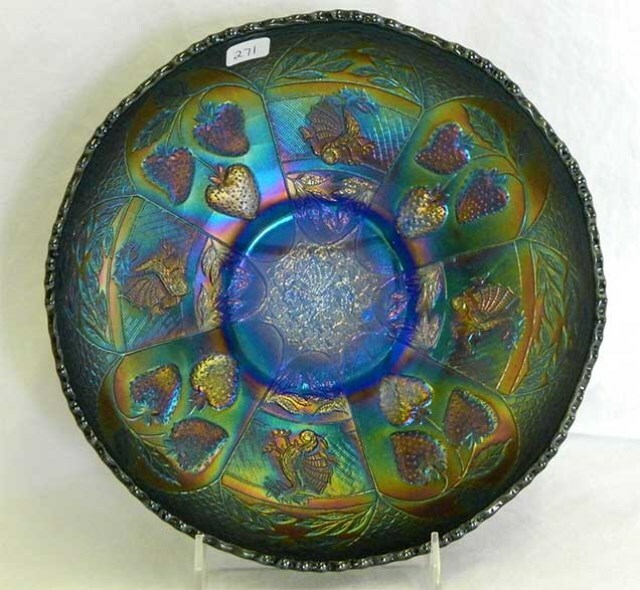 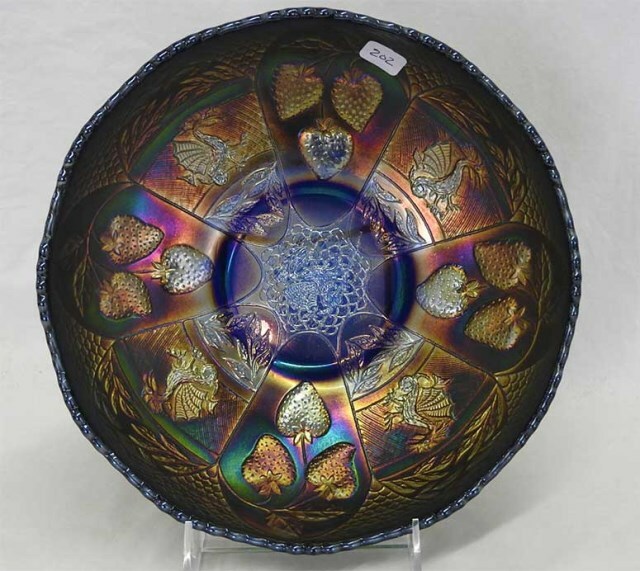 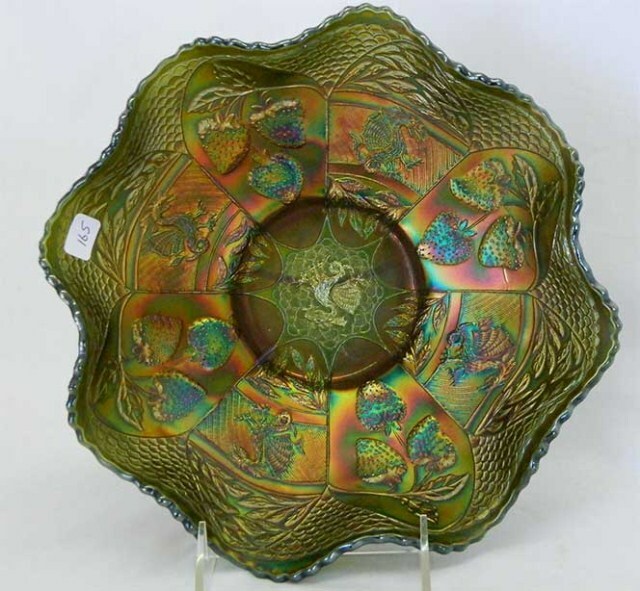 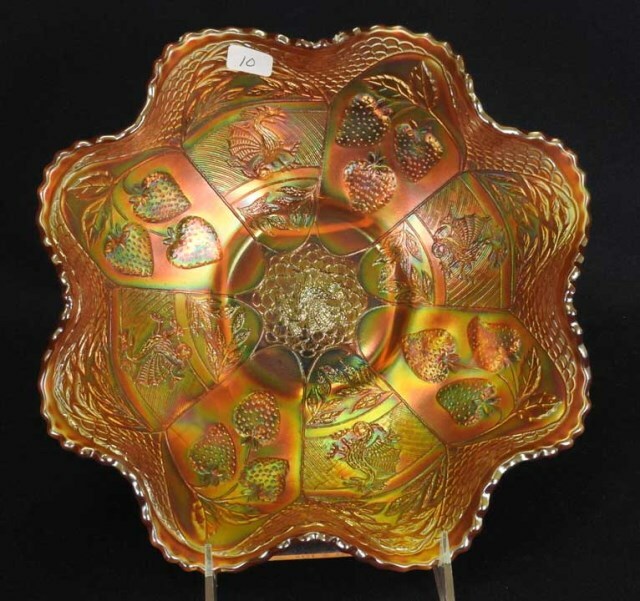 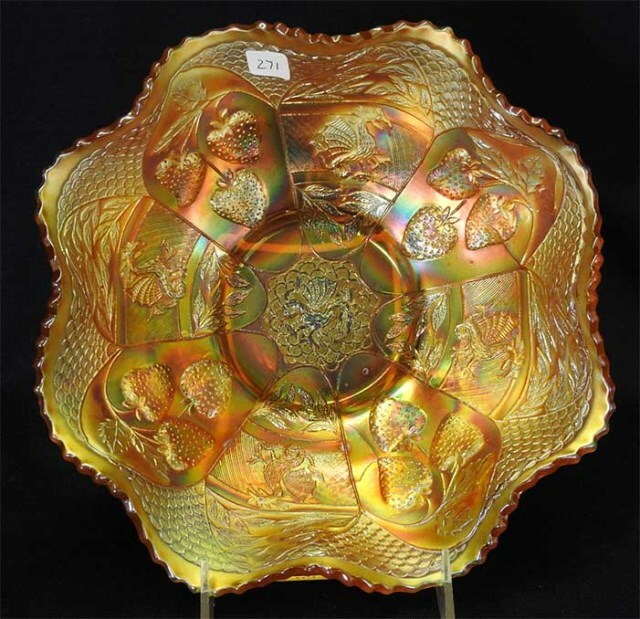 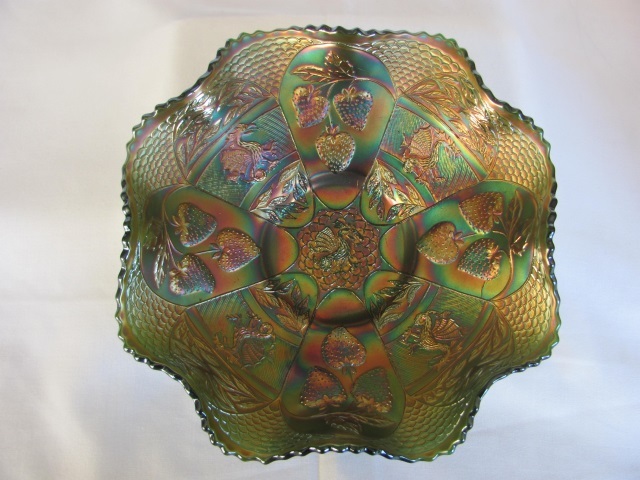 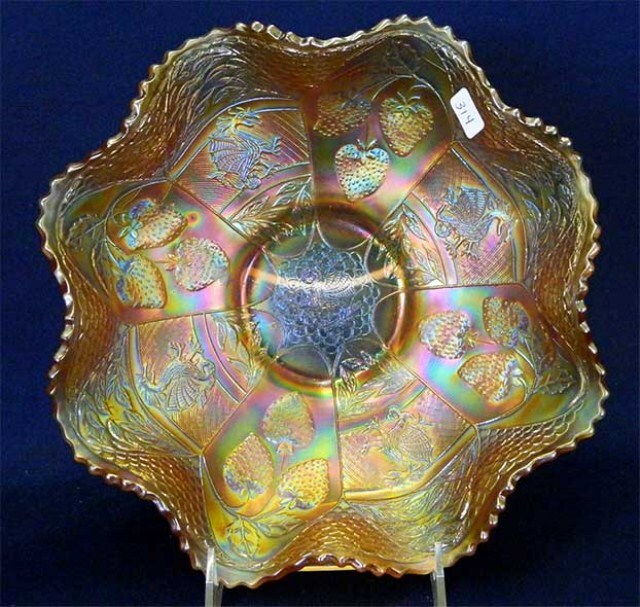 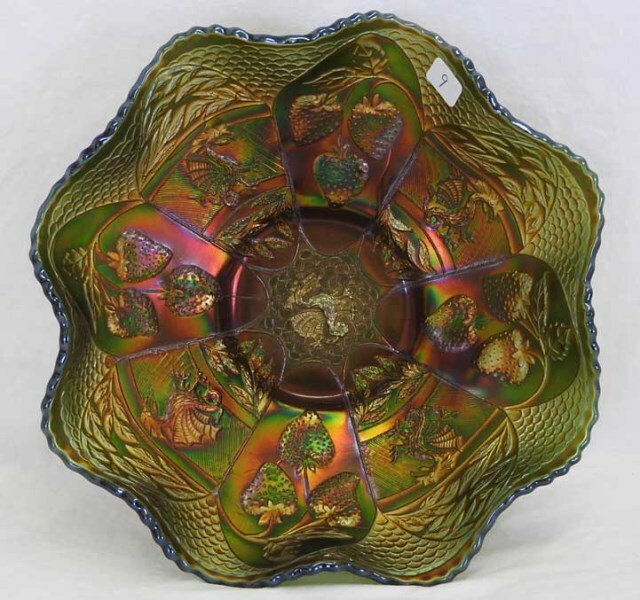 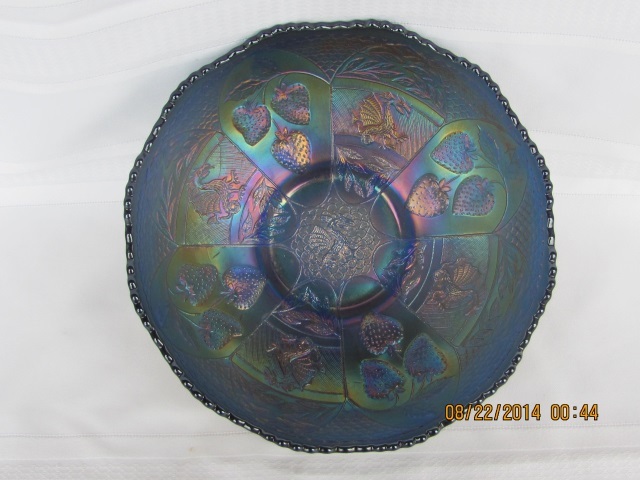 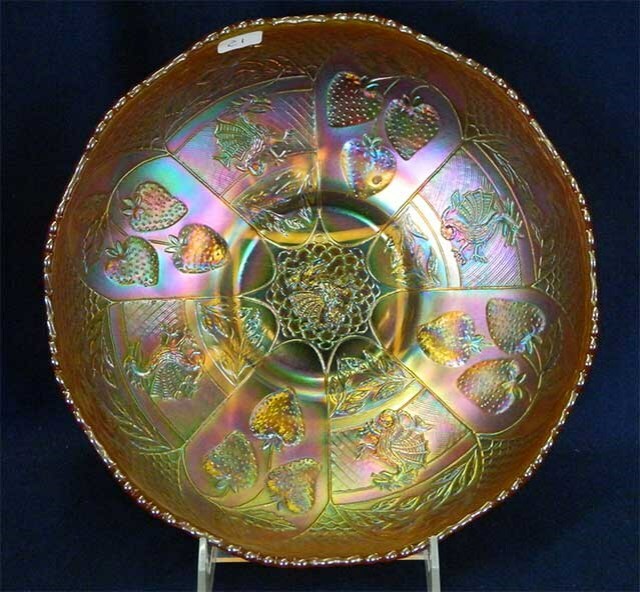 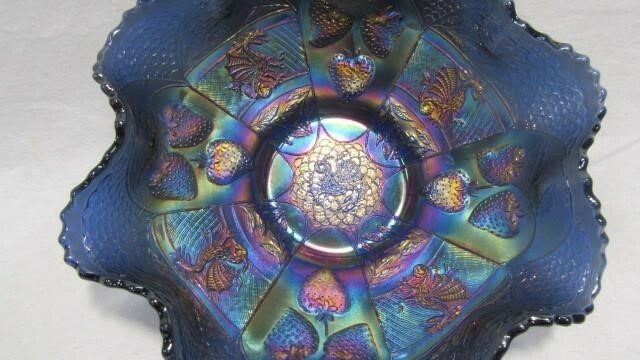 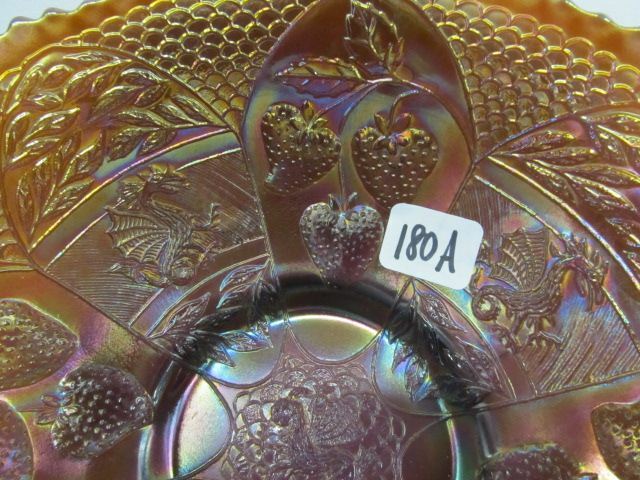 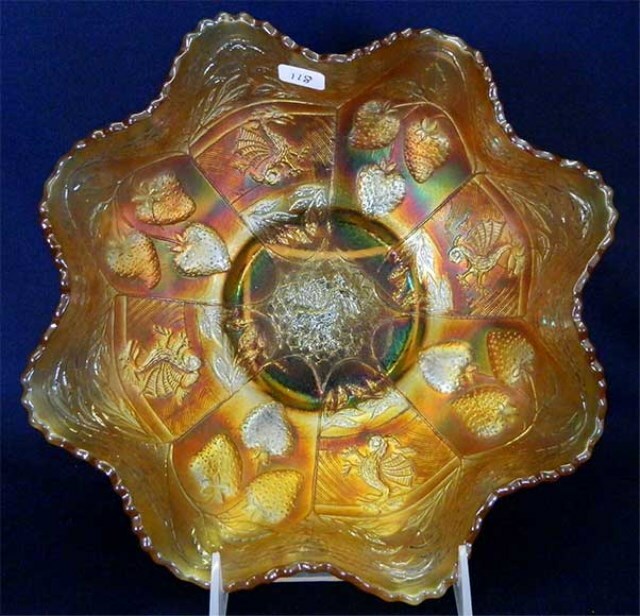 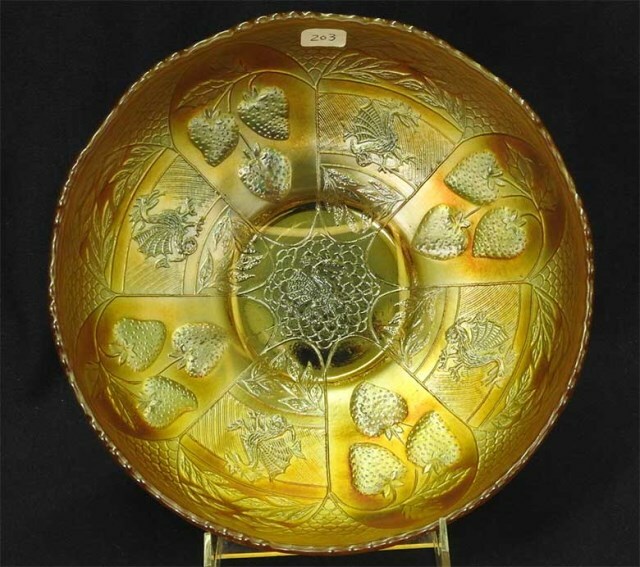 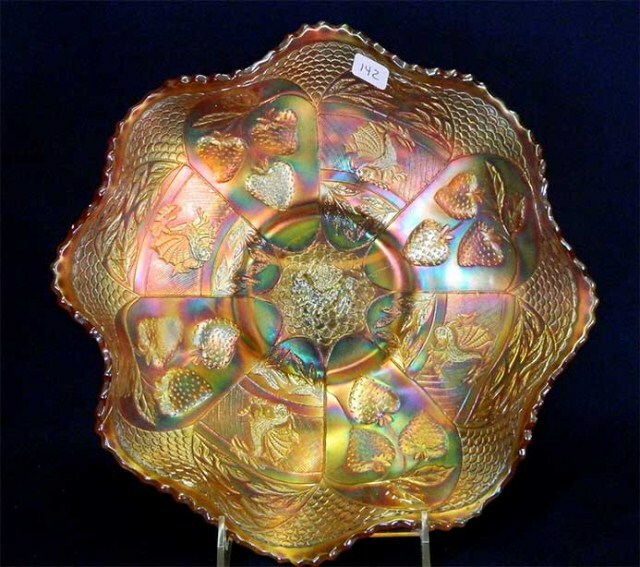 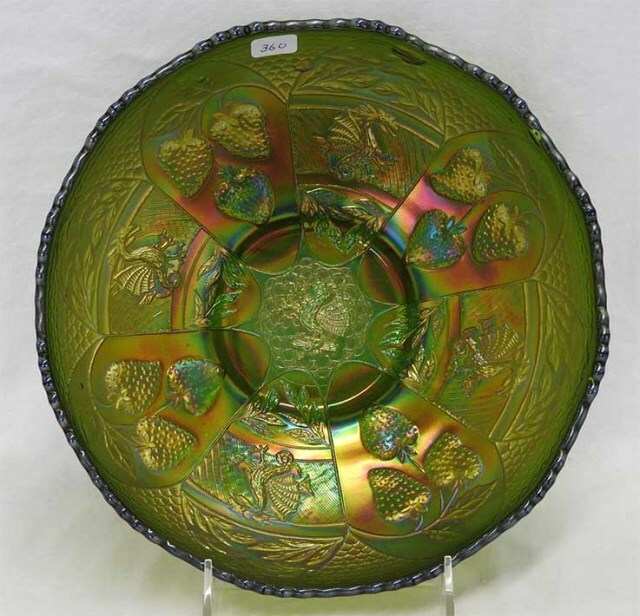 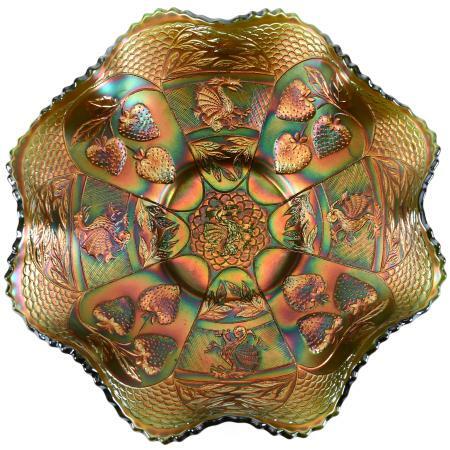 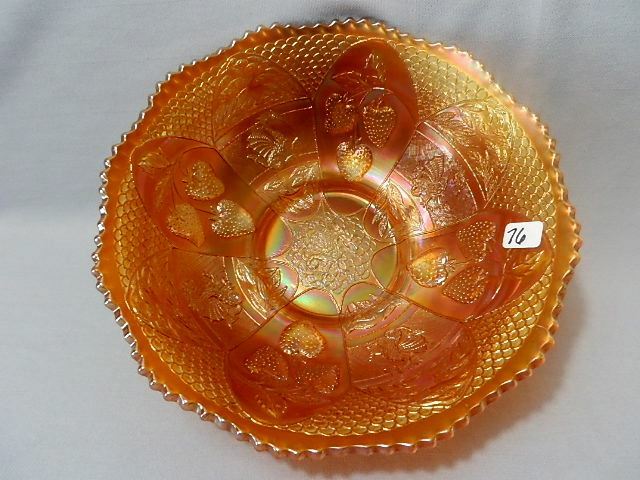 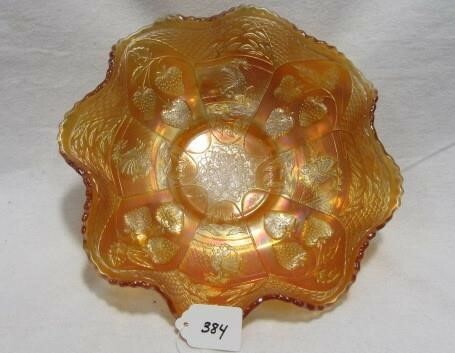 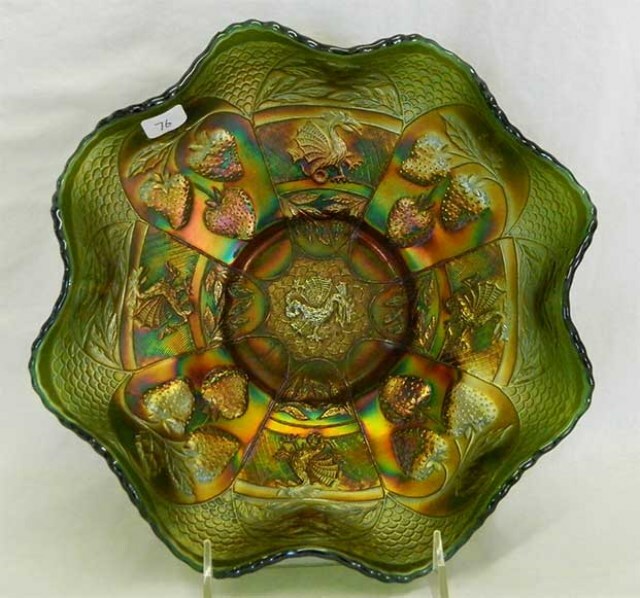 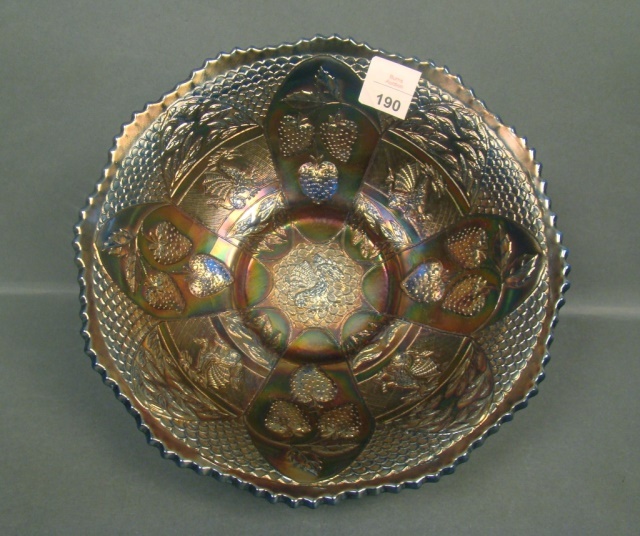 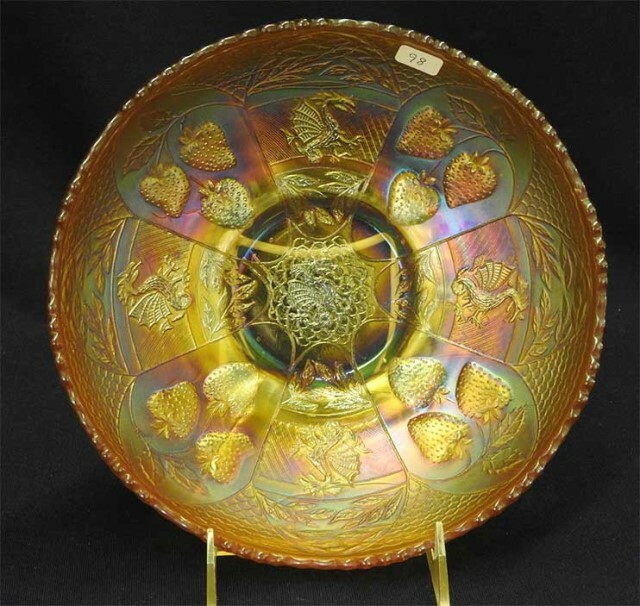 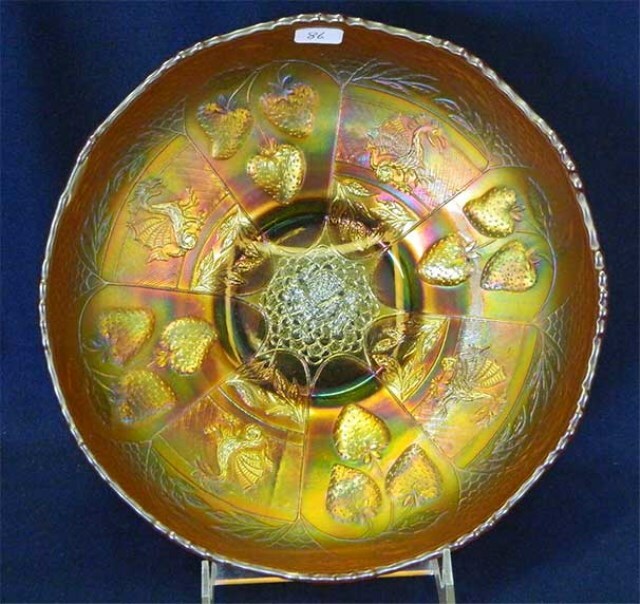 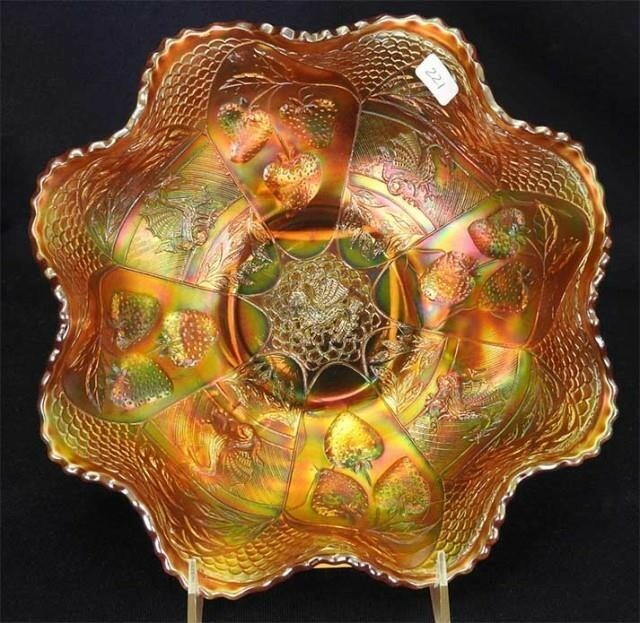 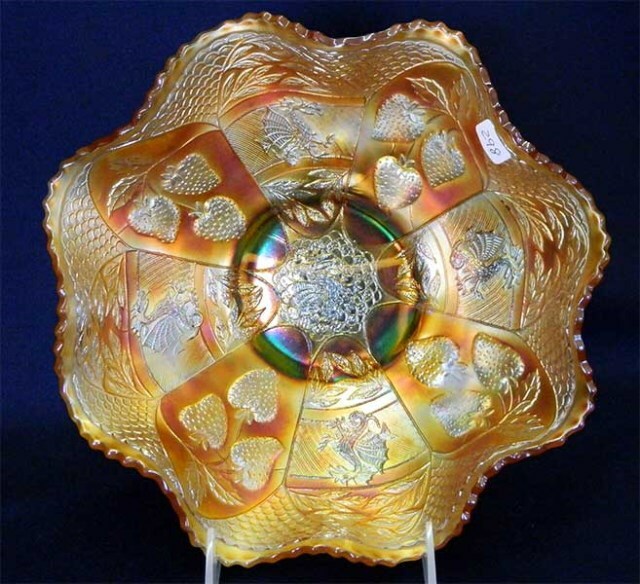 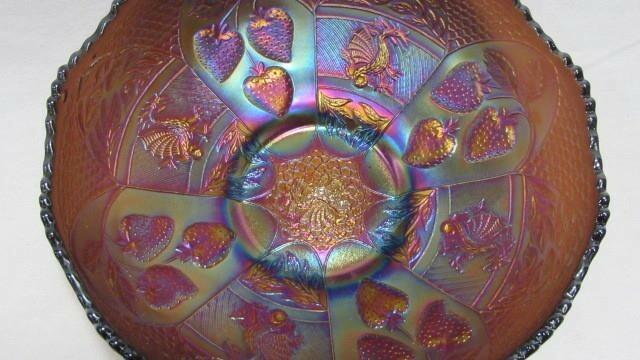 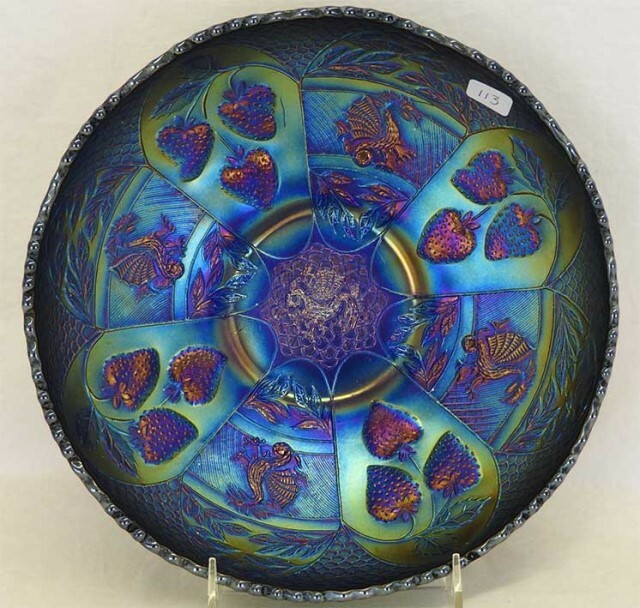 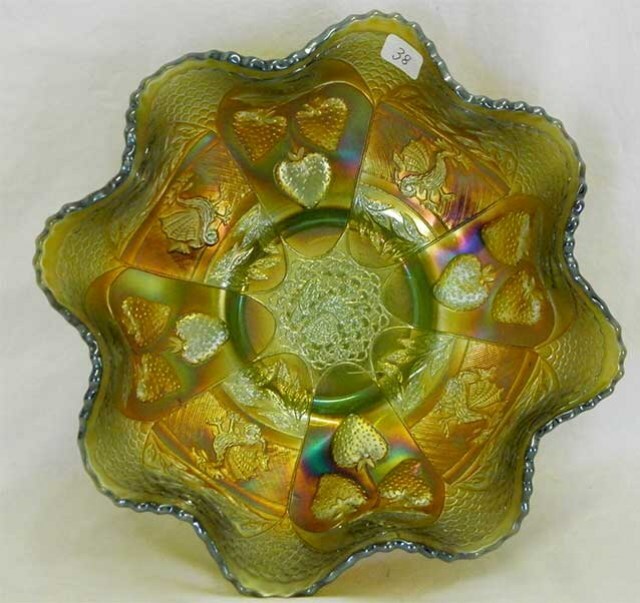 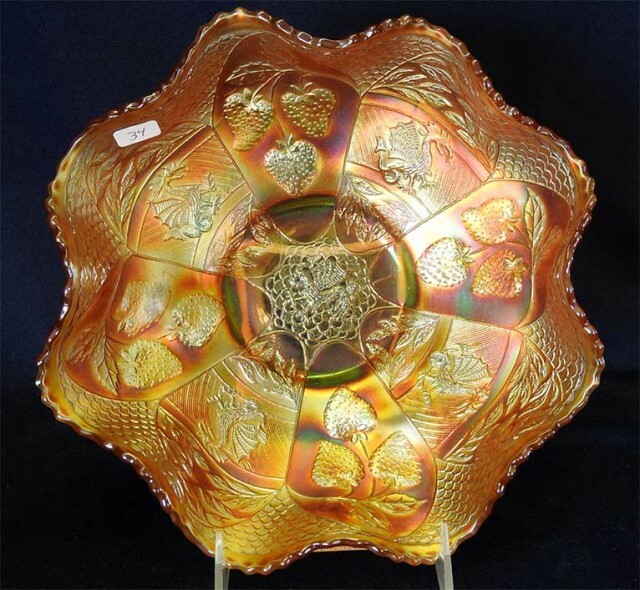 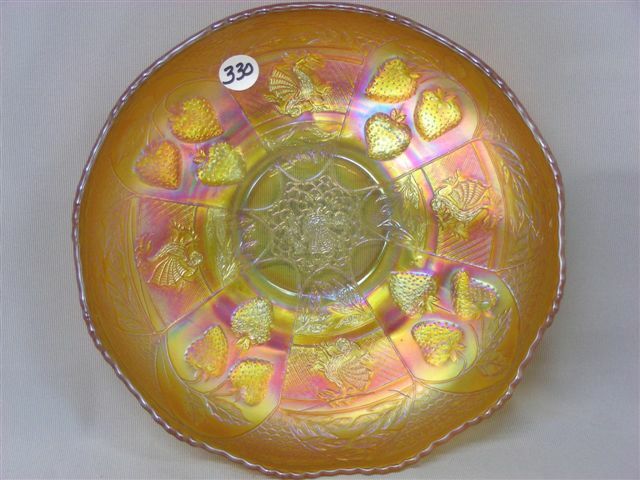 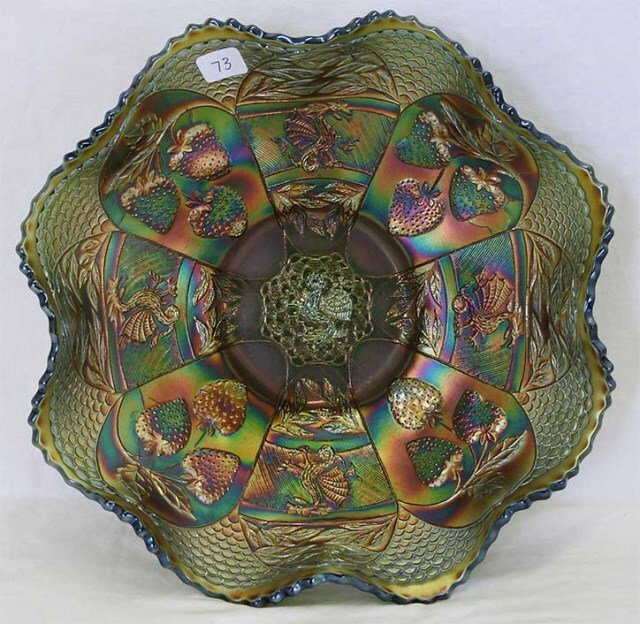 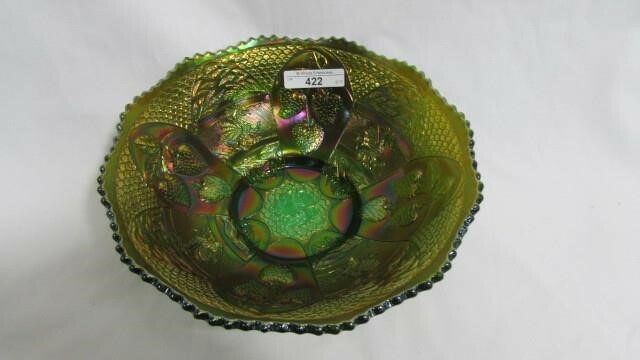 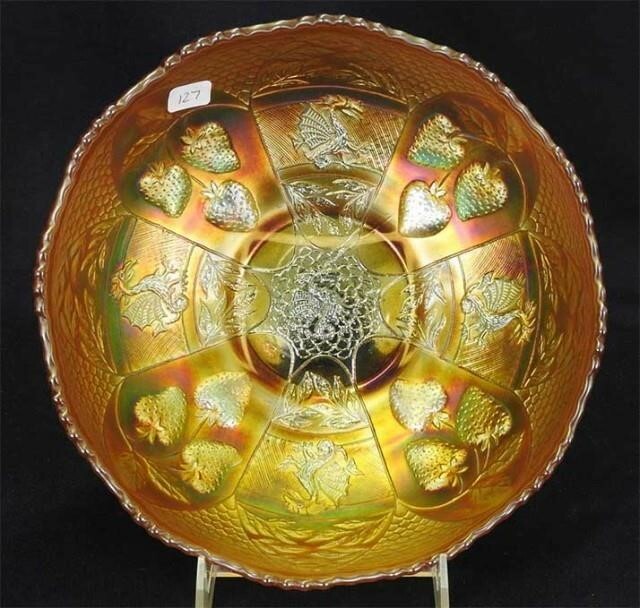 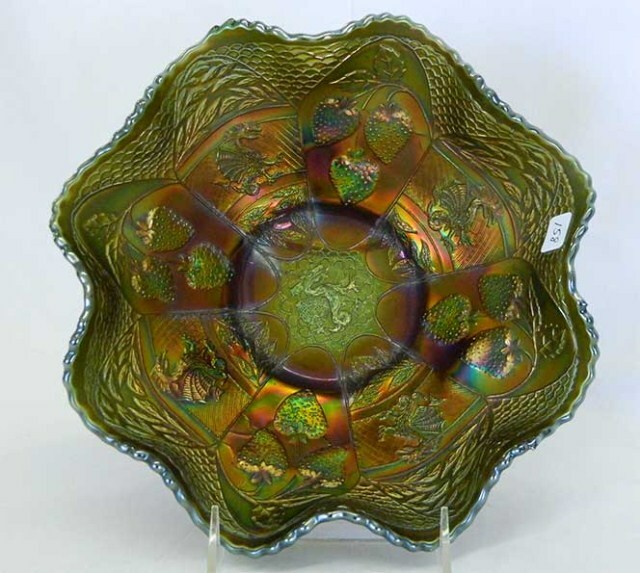 The better the iridescence the higher the price, as with most carnival glass. 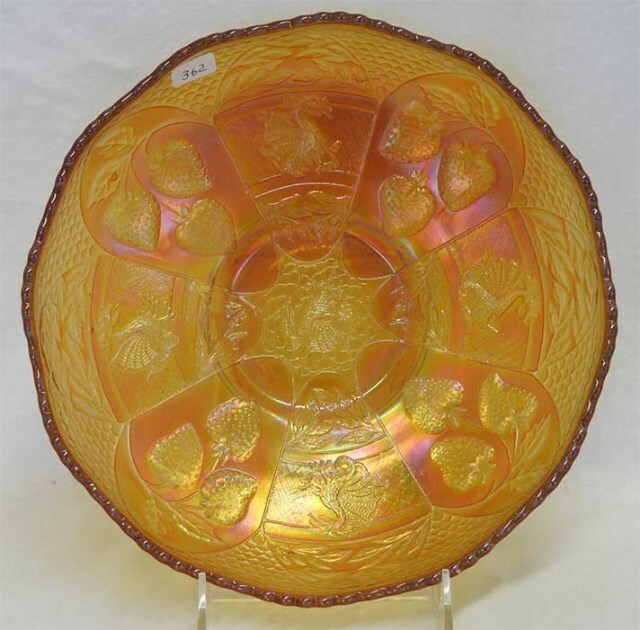 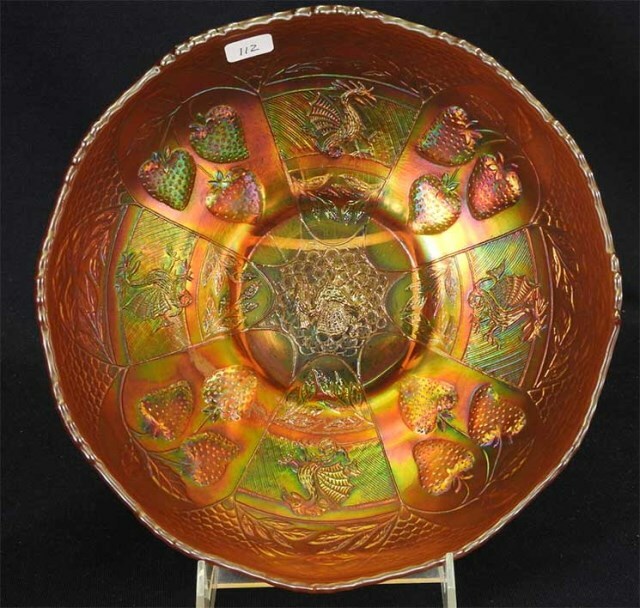 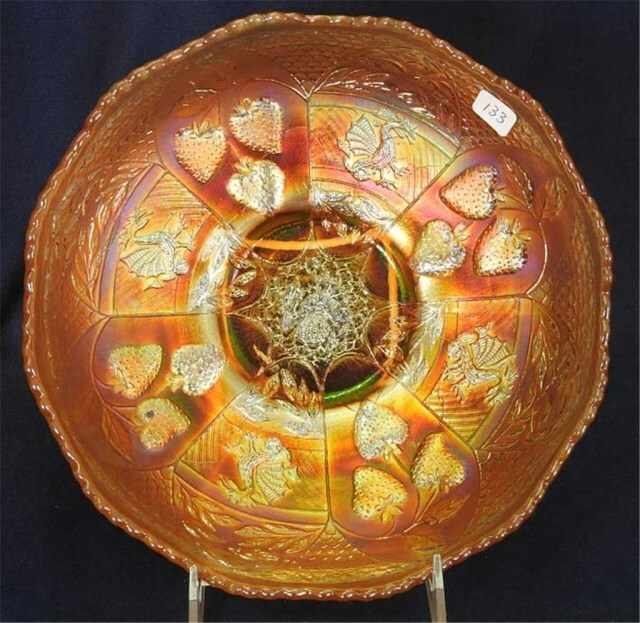 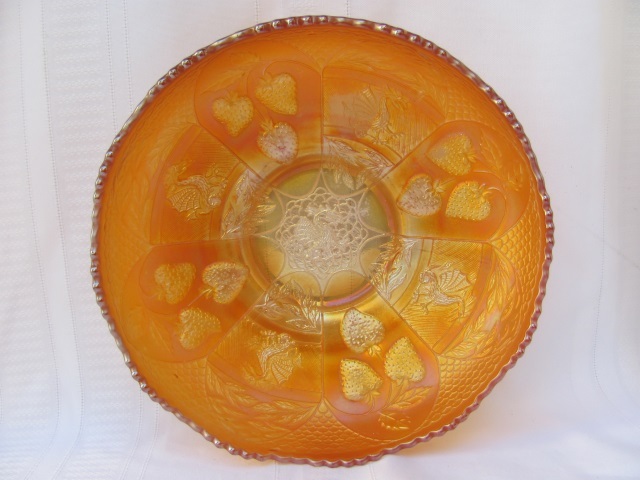 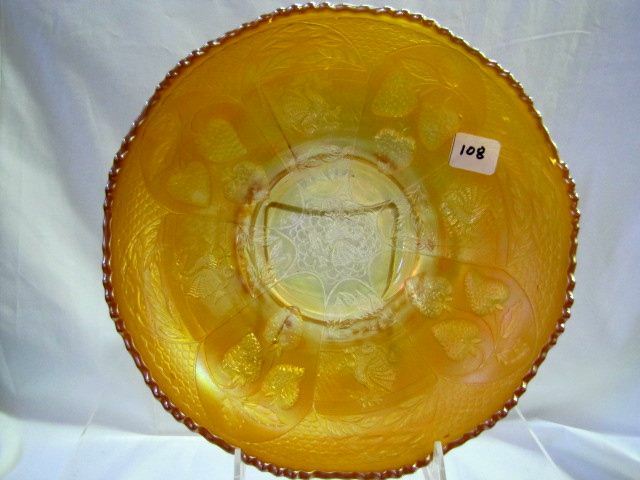 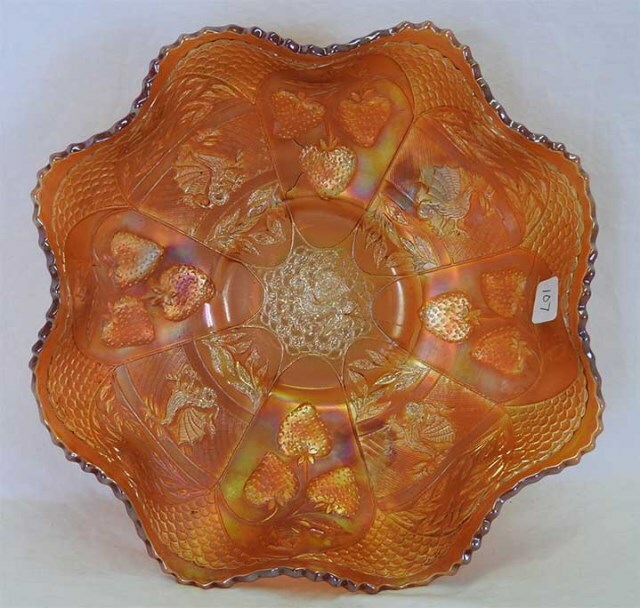 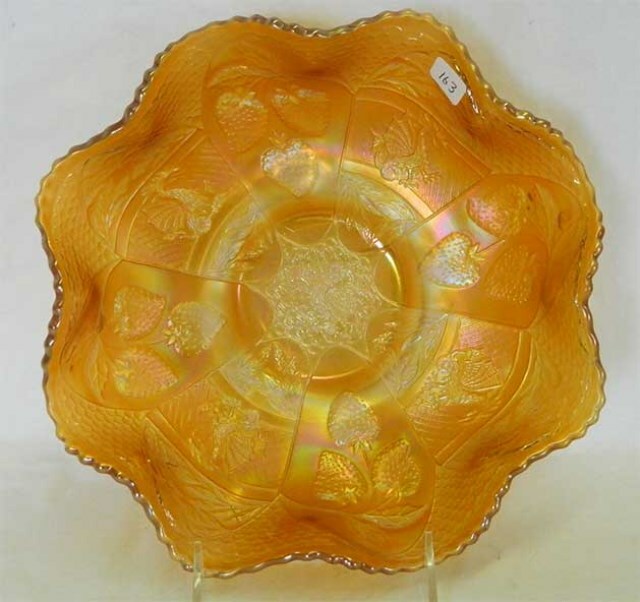 Above on the right is an extremely rare Dragon and Strawberry 9-inch plate in marigold–that does not have the dragon part of the design. 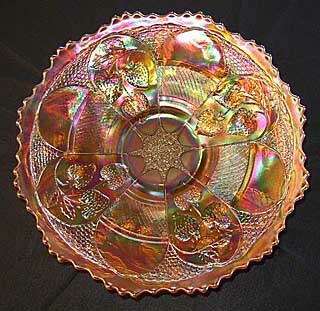 There are one or two of these known. 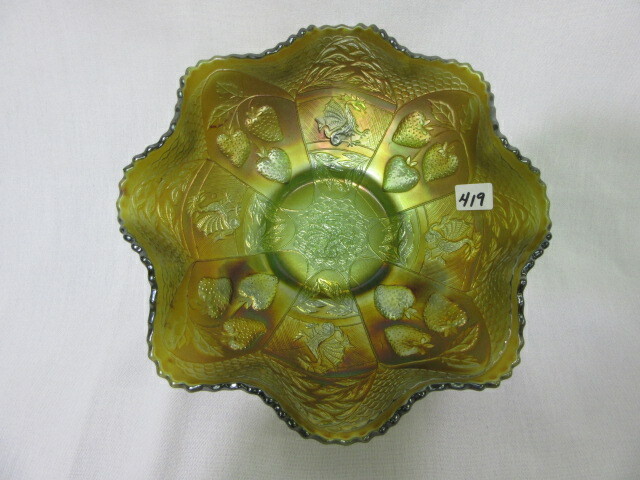 This one was in the collection of the late Dale Matheny.